One of the more fetching things (or shall I say people) I learned of during the garden show season last March, was a Dutch woman who has mastered a fresh approach to planting bulbs in the garden. Jacqueline van der Kloet doesn’t do the standard daffodil/tulip thing – which is to plant intense, monochromatic clumps of a single cultivar to provide a “spot of color,” that is gone in a few weeks with lots of boring foliage left behind. Instead, she frees up bulbs, unleashes them from the cluster and integrates them in a more naturalistic manner that can truly showcase their collective beauty. Although Ms. van der Kloet is a world-class garden designer, working on projects for the New York Botanical Garden, Chicago’s Millennium Park and famous gardens in Europe, her designs are not just for public spaces where plant material is changed every few months. Her design style embodies longevity. Van der Kloet takes into consideration many types of flowering bulbs as well as perennial kin and her method can be carried out in a big or small space, making them oh so suitable for us home gardeners! 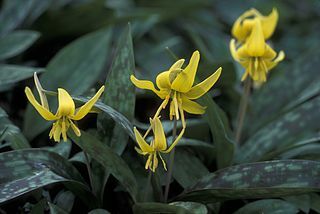 Fritillaria and Erythronium or trout lilies are most likely on her short list of under-used specimens. Species tulips too. The main idea is to think about how spring bulbs can be used together to create an interesting tapestry of flowers and textures. For a small space, it is recommended to use around three varieties in a spring bulb palette and in larger spaces up to seven varieties. Color, height, bloom time and length, as well as sun exposure should be considered when making selections. Spring blooming perennials are part of a van der Kloet-inspired design and plants like aubretia, creeping phlox, cerastium, hardy geraniums, euphorbia, forget-me-nots, bleeding hearts, etc… add more color and texture to the wonderland. The really fun part of her design method comes when it’s time to plant. (Even kids will enjoy this activity.) The bulb selections are all mixed together and then tossed by handfuls in the space where they are to be planted. The bulbs are planted at the appropriate depth based on the growing requirements but this style of “sprinkling” proves to yield a natural, appealing result. As you can see, I didn’t give up hybrid tulips. (I could never do that!) But, I did incorporate a species tulip. Some of these lesser known tulips such as kaufmanniana, greigii or humilis bloom quite early and offer pretty, mottled foliage. I’m hoping to achieve a layering of color and interest that starts in March and holds interest until the large perennials (iris and large hardy geraniums) begin to bloom in mid-May. It’s an experiment that going to be fun to see especially since my craving for springtime wonder will be at its highest! But for now, everything is tucked away under a thick blanket of snow. How about you? 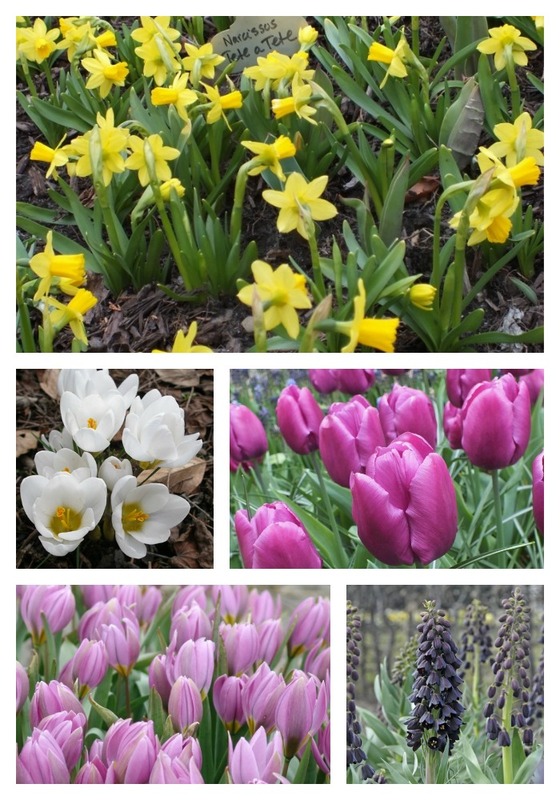 Do you plant spring-flowering bulbs in your garden? If so, what is your method? Have you heard of Ms. van der Kloet and her designs before? I like the sound of that method and will try it if I have a new spot to plant one day! I tend to replant more or less the same bulbs each year to increase the volume and time of flowering. 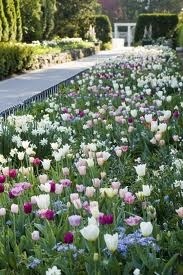 Love the botanical tulips and smaller bulbs, but also have lots of big bold tulips too. Hi Cathy, I basically took a bed that I had planted some bulbs in one section and added some of the same type of bulbs and a bunch more. I had daffodils in clumps and I made a few more clumps to carry out that theme and then I tossed the other varieties all over the planting space. 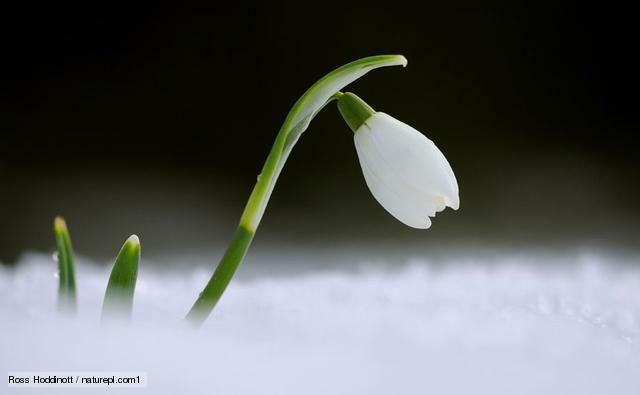 We’ll see… come Spring! Hi Andrea, this is lovely and your choices are a gorgeous combination. I had not heard of Ms. van der Kloet before. In the UK Lasagne planting is very popular in tubs, where layers of different types of bulbs are planted. Hi Julie, Interestingly enough, shortly after I wrote this, I read a piece on lasagna planting of bulbs, especially in pots! Thanks for stopping in Donna! Me too, can’t wait! I have a feeling I’ll be adding even more bulbs to this bed next fall. I haven’t heard of Mrs. Van der Kloet but I love her approach. I do love spring bulbs also, and I am trying to diversify the types of bulbs I plant. Though I’m a little obsessed with tulips and as you say there is such variety in terms of color, size, form, and bloom time. In addition to tulips and daffodils, I have snowdrops, crocus, scilla, hyacinths, muscari, and Spanish Bluebells. I like to grow naturalizing species tulips in my beds and hybrids in my containers. Andrea, this sounds so awesome – “naturalistic” is a style I like and I have never heard of Van der Kloet, nut I do agree that tulips and daffodils have limits. 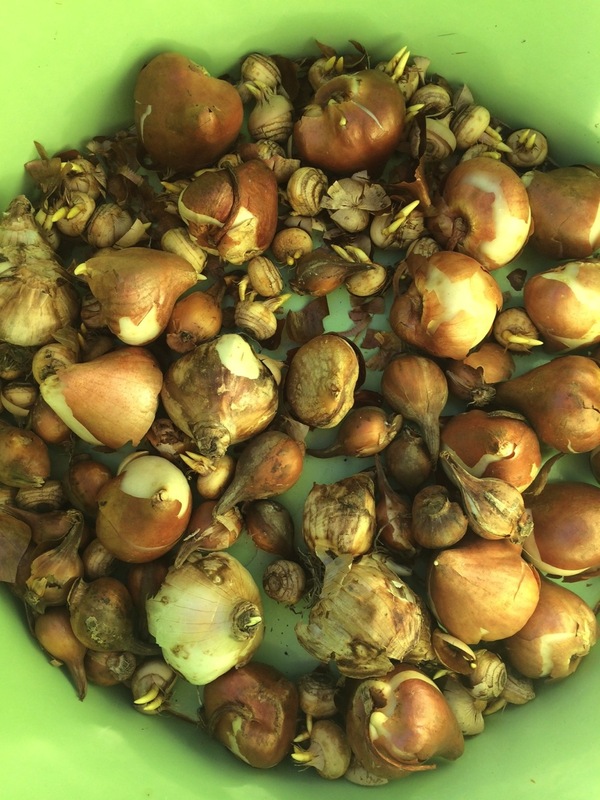 and this just sounds informal and fun to toss bulbs “by handfuls in the space where they are to be planted” – and well, I might just have to try this – we still have a couple more weeks to get bulbs in over here where I am – no snow yet and well, still plenty of time. Thanks for stopping in Yvette! Give it a try. From what I have read about your personality I think you would have fun with it! I do toss bulbs, especially when they go into a client design. My own garden is so small and squirrels move them around, but initially many were tossed and planted where they landed. New bulbs this year went under annuals that were replanted on top. It kept the squirrels from eating those tulips. A very good strategy and I would expect nothing less from you! You’re awesome! Hi Dana, I know what you mean. I did this in an area where I already had a few tete a tete planted. I added more tete a tete (some in clumps as I already had some planted in clumps) and then scattered all the rest. I tried to keep the same theme going but make it more natural looking. Hi Andrea. I’m curious – did my earlier comment get posted? I see it, dated November 21, but it still says that it’s awaiting moderation. Hi Jason, Thank you for checking back. I don’t know why it didn’t get approved the first time. I thought it had. Maybe because I was traveling and doing some stuff from my cell phone. Sorry! Thank you for leaving a comment in the first place! I look forward to you sharing your results with this method. I mix the bulbs into planting groups but do it as I plant – big bulbs go in first, then I use straws to mark their planting spaces and tuck the smaller bulbs in the “between” spaces. 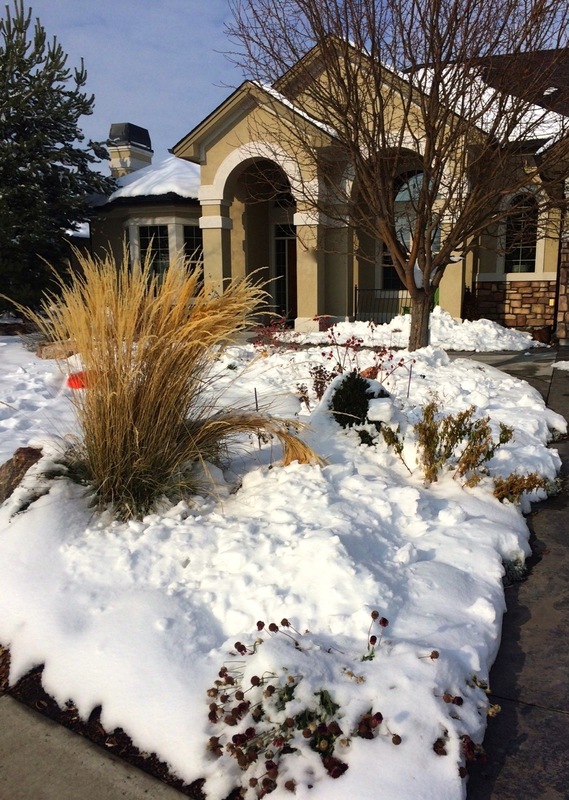 Can’t wait to see how your plantings turn out – your method sounds a lot easier! It sounds and looks like your timing was perfect…we are covered with snow also. 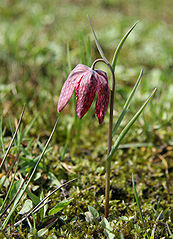 Spring flowers from bulbs planted in the fall give so much pleasure when the snow starts to melt.